THEY WON 15 STRAIGHT GAMES. Fifteen straight, with no overtime, no three-on-three cuteness and absolutely no shootouts. They were 15 wins earned the old fashioned way, with 60 minutes of grit and guts, dominance and determination. And it was, for a time, a National Hockey League record. That record-setting team was the 1981-82 New York Islanders, then in the midst of a four-year period when they were the best hockey team on earth. They won four consecutive Stanley Cups -- a run of championships unequaled since by any North American major league sports franchise -- and bracketed that run with a year in which they had the league's best record but missed the finals and one where they made the finals for a fifth time, and lost to the rising Edmonton Oilers they'd beaten a year earlier. 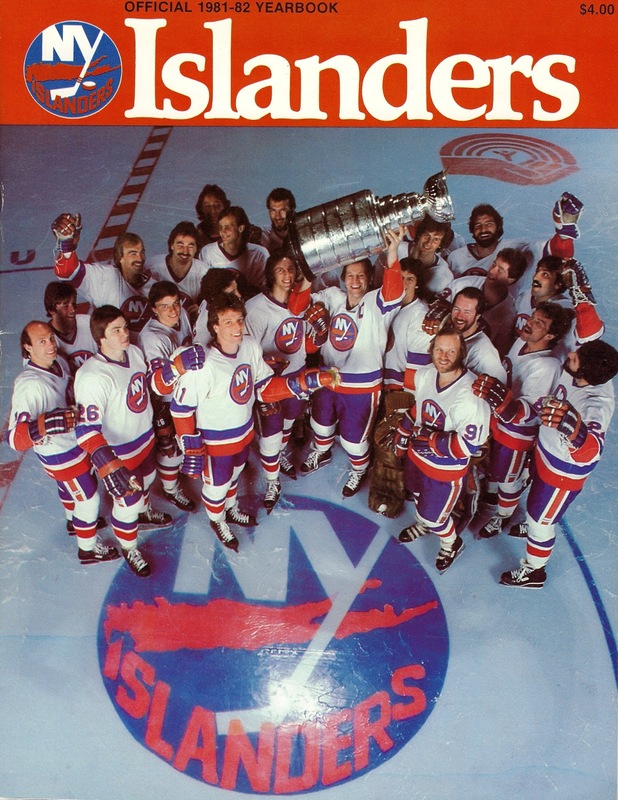 As a franchise, they were never better than 35 years ago right now, when they were in the midst of that streak, which started Jan. 21 with a 6-1 drubbing of the Pittsburgh Penguins. Two nights later, they beat the New York Rangers by the same score. Two more games followed against the Patrick Division rival Penguins, one at home, won 9-2, then one in Pittsburgh's Civic Center, affectionately known as the Igloo, where they won 6-3. 7-4 over the Flyers at the Spectrum in Philadelphia. With that Feb. 18 win in Philly, their 14th in a row, the Islanders tied an NHL record set by the 1929-30 Boston Bruins. 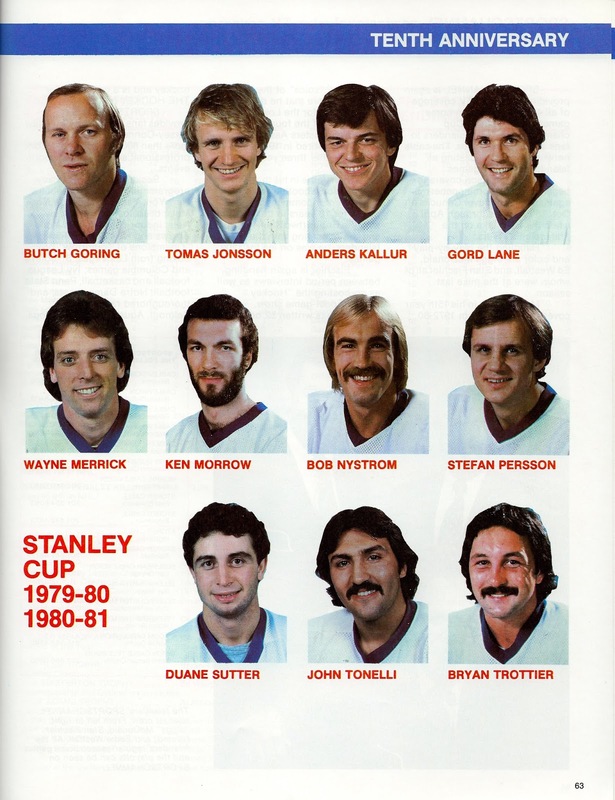 Two nights later, they'd get the chance to break it at home against the lowly Colorado Rockies and their goalie, ex-Islander Glenn "Chico" Resch. Tied at two late in the game, the Rockies would not yield and with only a minute left, the streak -- and the Islanders' chance to set a new record -- were in jeopardy. What happened next became, simultaneously, a part of team lore and a preview of post-season heroism. New York defenseman Mike McEwen, acquired from Colorado a year earlier in for Resch and forward Steve Tambellini, picked up the puck in the Islanders' zone, passing it to star center Bryan Trottier, who carried it up ice with linemates Mike Bossy and John Tonelli both on his left flank. 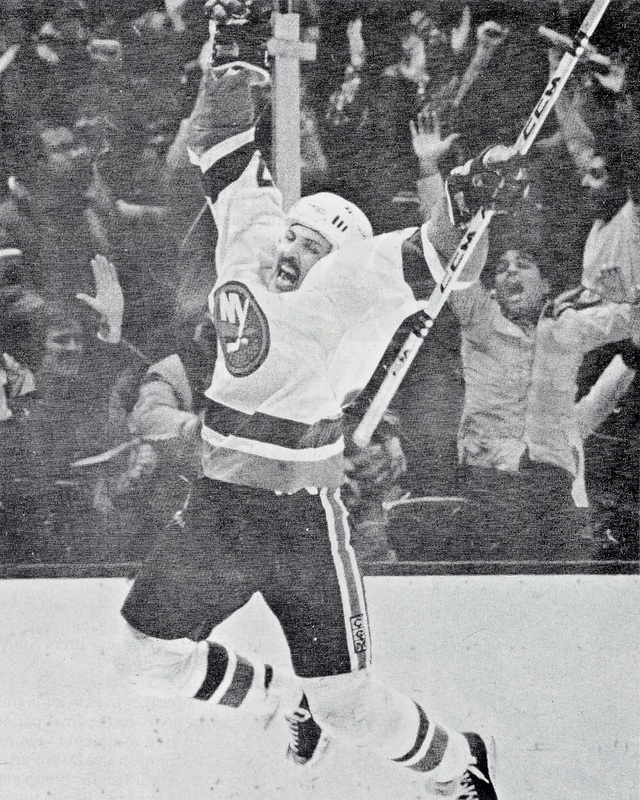 Crossing the Colorado blue line, Trottier slid the puck left, to Tonelli, who fired a shot past two former teammates -- defenseman Bob Lorimer and a partially screened Resch, into the net at 19:13 of the third period. New York 3, Colorado 2. Tonelli leaped with joy. He'd saved the streak and put the Islanders into the NHL record book. 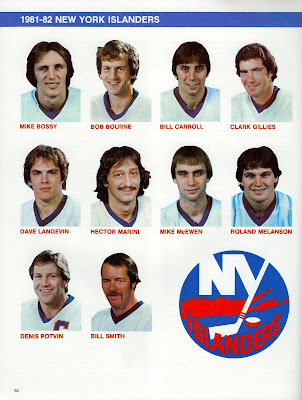 Though their skein would end with a 4-3 defeat to Pittsburgh the next night, two months later, the heroic and hard working left wing would save the Islanders season and their dynasty at the expense of those waddling birds. The Islanders 15-game winning streak remained the NHL record for 11 years before being bested in 1992-93 by those same Penguins the Islanders had beaten so often during their run. Led by the legendary Mario Lemieux and a 21-year-old Czech forward named Jaromir Jagr, the Igloo 's inhabitants won 17 in a row to set a standard that endures to this day.